If you want a beautiful wafer at a good price, you can't do much better than this one. Photographed in ordinary white room lights, it really has nice iridescence. IT4U has thousands of Sun, HP, IBM, Dell, Cisco and many. If you don’t see exactly what you are looking for, or you are looking for a special deal?. Sun / Oracle SELX1B1Z2 × SPARC64 VII 2.4GHz CPU Module Part Number 375-3568. ISM’sIndustry Leading Warranty Program andTotal Quality Process are part of the ISM Difference. All Disk and Tape Storage are initialized, cleared and formatted ensuring quick and easy installation in your data center. SUN 2.4GHZ CPU DUAL CORE M4000/M5000. Product Details. Physical condition of item is used. We will issue you an RMA, upon receiving the product back it will go through inspection against prior out going photos, etc. Freight Quotes. am and 4:00. Local Pickup. Secondary Identifier: SR1HA. Part taken from a good, working Fujitsu Laptop. Tested and Verified working. Need Help Deciding Which Part to Buy?. Product Details. Speed: 2.5 GHz. New & sealed in original box with fan. It does not work on the territory of Australia, the United States and Canada. Xeon Silver 4108 Processor (11M Cache, 1.80 GHz). series: Xeon Silver 4108. Processor speed: 1.8 GHz. Processor support : LGA 3647. We will do our best to resolve the problem! Here is a white ceramic 8088 processor made by Fujitsu. 40-pin side-brazed ceramic DIP. [New] Ti486 SXL-40 CPU. 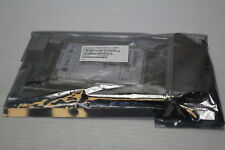 [New] TI486DX2-G66-WR CPU NEW. Good Condition. [New] Cyrix MII 233GP Black Top. BUY IT NOW. Processor socket Socket B2 (LGA 1356). CPU Coolers. Network Attached Storage. Processor special features. Processor cache 10 MB. Processor frequency 2.4 GHz. Processor model E5-2407V2. Processor threads 4. Processor model: 3106. Processor (from Zones) Conflict free: Yes. ECC supported by the processor: Yes. Processor cache: 11 MB. Processor frequency: 1.7 GHz. 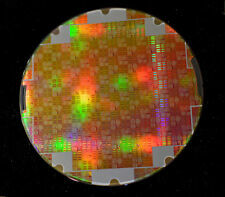 Processor lithograph : 14 nm. Processor mode: 64-bit. Ze 3104 processor (8.25m cache, 1.70ghz). Series : Xeon E5-2630 v4 10C/20T 2.20GHz. Processor Speed : 2.2 GHz. Processor Socket : LGA 2011 (Socket R). Processor Count : 10. Color : gold. Processor Count : 10. Item model number : S26361-F4051-L115. Processor Speed : 2.5 GHz. Processor Socket : Socket B2 (LGA 1356). Processor Count : 6. Series : Xeon Silver 4114. Processor Speed : 2.2 GHz. Processor Socket : LGA 3647. Processor Count : 10. Processor model 4110. Manufacturer: FUJITSU. Processor frequency 2.1 GHz. Processor boost frequency 3 GHz. Processor cache type L3. Processor cache 11 MB. Processor ARK ID 123547. Processor cores 8. Thermal Design Power (TDP): 105 W. Supported instructions: AVX 2.0, AVX-512, SSE4.2, Scalability: S4S. Processor model - 5122. Frequency ofprocessor - 3.6 GHz. Processor boost frequency - 3.7 GHz. Processor lithography - 14 nm. Item model number: S26361-F4051-L234. Item weight: 222 g.
Item model number: S26361-F4051-L228. Item weight: 508 g.
CPU Coolers. Network Attached Storage. Processor cache type Smart Cache. Processor special features. Processor cache 20 MB. Conflict Free processor Yes. Processor frequency 2.1 GHz. Processor model E5-2620V4. Processor model - 4116. 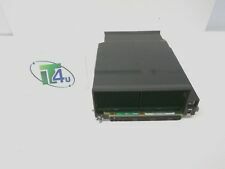 Fujitsu S26361-F4051-L116. Thermal Design Power (TDP): 85 W _. Processor frequency - 2.1 GHz. Number of processor threads - 24. Number of processor cores - 12. Processor lithography - 14 nm. FUJITSU XEON SILVER 4110 2.1 GHZ 11 MB L3 PROCESSOR – PROCESSORS INTEL® XEON® 2. Xeon Silver 4110. Processor Speed. Processor family. Processor Socket. Processor Count. 20 x 28 x 10 cm. Product information. Item Weight. Pictures show actual condition of the processor. May have scratches, chipped edge, for collectors only. 75,140 Gates, 284.1/0 || ( CMOS Gates ) || CG21753 || MBCG21753xxx. Pictures show actual condition of the processor. May have scratches, chipped edge, for collectors only. UP FOR SALE IS.